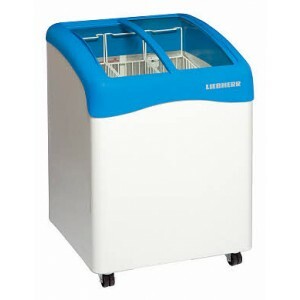 Liebherr chest freezer with curved sliding glass lid and LED interior light. Made of the very best quality components to ensure a long service life in any conditions – ideal for bulk storage. Liebherr chest freezers are designed to withstand heavy loads. Made of the very best quality components to ensure a long service life in any conditions – ideal for bulk storage. Every business is bound to find exactly the right appliance for its own individual needs in Liebherr’s wide range of sales chest freezers. The curved sliding glass lid of the GTI chest freezers is made of toughened safety glass encased in a one-piece plastic frame with integrated handles. Thanks to specially developed Teflon inserts in the profiled seal and the hot-gas heater incorporated in the plastic frame, the two halves of the lid are always easy to move and open. GTI ice-cream chest freezers are now also available with an LED interior light with on/off switch. 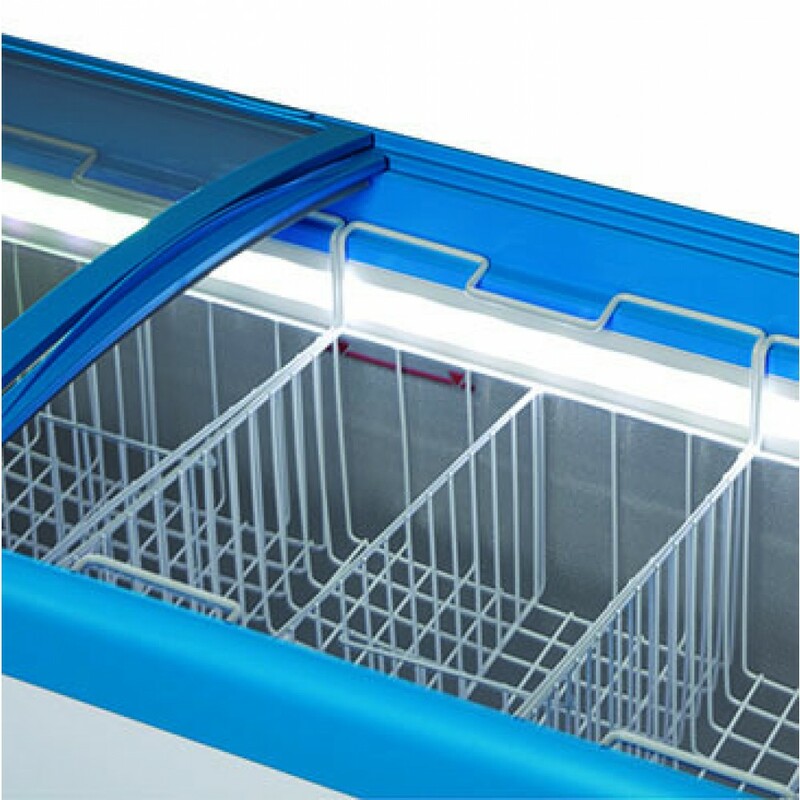 The light is integrated horizonzally in the front inner liner and thus perfectly illuminates the freezer contents. Apart from a high level of brightness and colour constancy at low temperatures the LED interior light combines an exceptionally long life-cycle with low heat emission and low energy consumption. Sturdy swivel castors make transport easier especially when chest appliances have to be moved frequently. All GTE/GTI models are equipped with highquality, rubber-coated double swivel castors with 50 mm diameter.